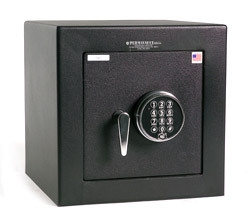 Perma-Vault offers a full range of security chests. The PV-1414 provides compact security for Mobile phones, GPS’s in areas where space is limited. Choose from a variety of cash till money chests in class B and C ratings. 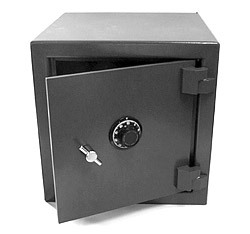 The instant you store your cash, checks, and receipts into the Security Chest, Perma-Vault is on guard, protecting you against robbery and theft. PV-1414-C All purpose compact security chest. Heavy duty steel construction. UL Listed group II combination lock. Three way throw bolts. Durable Powder Coat Finish. 14″ X 14″ X 14″ 45 lbs. 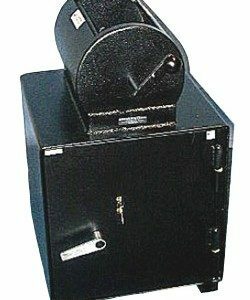 PV-1414-E All purpose compact security chest. Heavy duty steel construction.Lagard LG basic electronic lock. Three way throw bolts. Durable Powder Coat Finish. 14″ X 14″ X 14″ 45 lbs. Contact our customer support team for assistance in choosing the right size and lock options for your application.